Name : Gotta catch'em all! 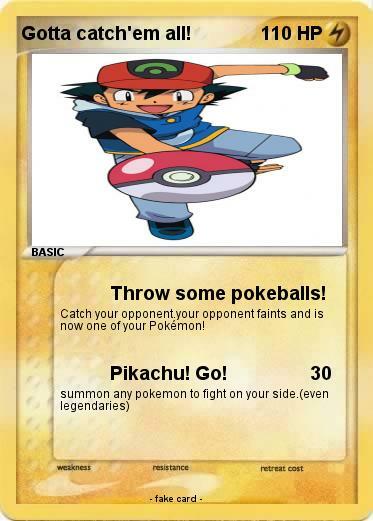 Attack 1 : Throw some pokeballs! Catch your opponent.your opponent faints and is now one of your Pokémon! Attack 2 : Pikachu! Go! Comments : If you agree this is the worst pokemon card in the world,then vote for the card named:Wolfy.